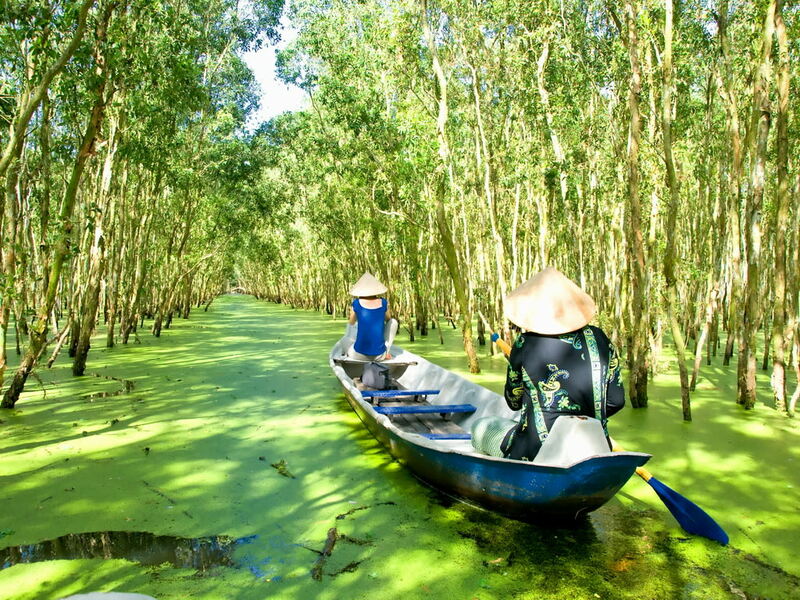 Soak up the rich and varied culture of Vietnam as we journey from Hanoi to Ho Chi Minh. Explore historical Hanoi with its many significant landmarks and diverse heritage, shopping and admiring the charm of this bustling city. Cruise through majestic Ha Long Bay, admiring the rugged coastline and stunning beauty of this enchanting place. 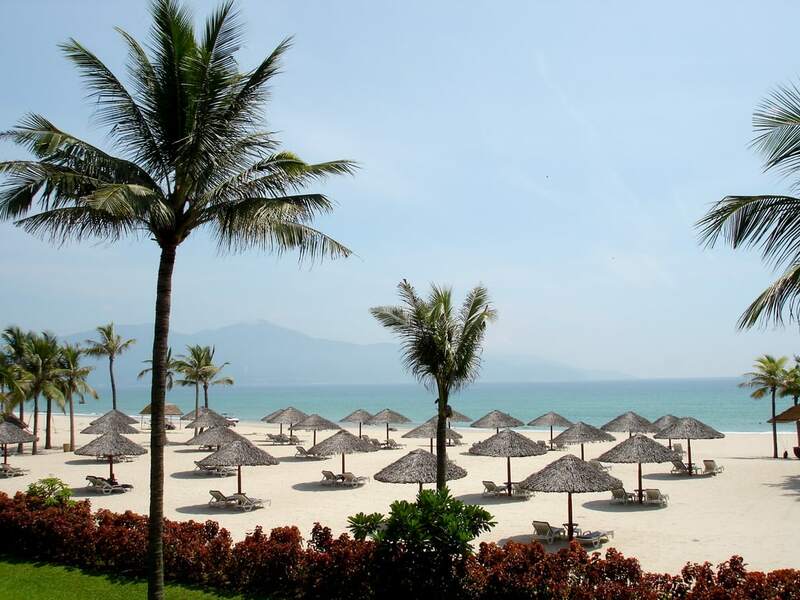 We spend two days relaxing in a beach resort in the French colonial port city of Da Nang. We will then journey to the sprawling metropolis of Ho Chi Minh, formerly Saigon, to admire the rich history and culture of the city. During this trip, you will also have the opportunity to take one or more day trips to explore more on your journey through Vietnam. We arrive in Hanoi, the capital city of Vietnam. Meet our guide at the airport for your private transfer to the hotel. The rest of the day is at your leisure. 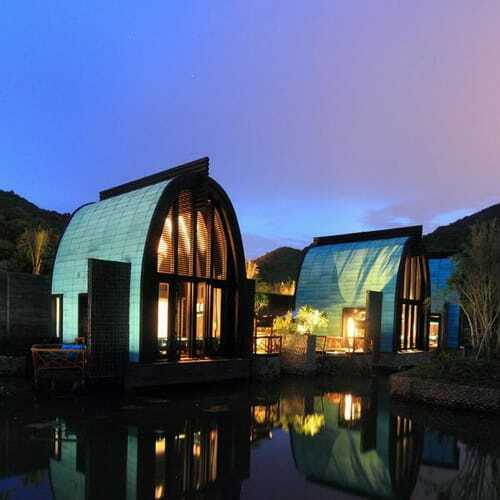 After breakfast, meet your guide at your hotel for a day of intriguing sightseeing, beginning at the Museum of Ethnology which showcases art, traditional clothing and reconstructions of traditional longhouses from fifty four different ethnic groups. Next, visit the Temple of Literature with its walled courtyards and graceful gateways. 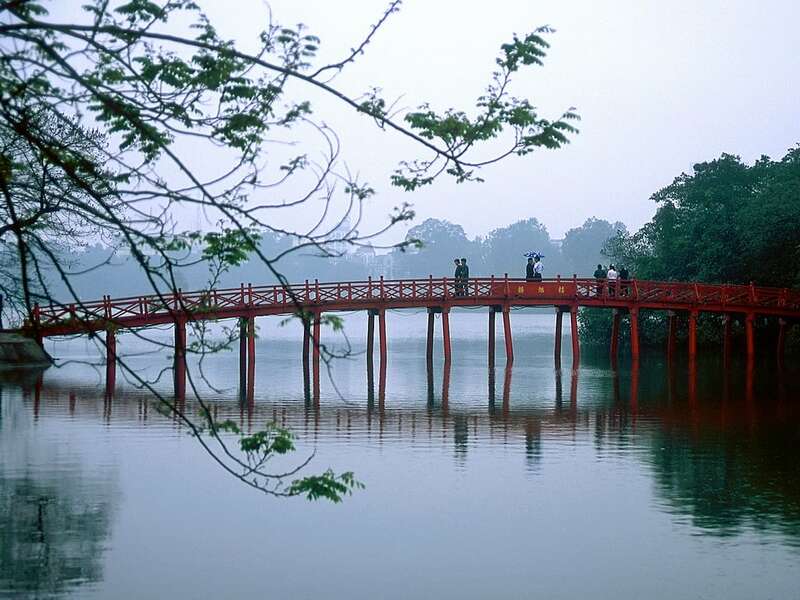 Founded in 1070 and dedicated to Confucius, this was also the site of Vietnam’s first university. Continue to Ho Chi Minh Memorial Complex where the Vietnamese people honor the country’s Great Father. Visit the Ho Chi Minh Mausoleum (outside only) which contains the embalmed body of Ho Chi Minh; and Ho Chi Minh’s Stilt House where Ho Chi Minh lived from 1958 until his final days in 1969. Preserved in the same condition as during his life, it may be viewed through the windows. Following by the miniature 11th century One Pillar Pagoda which was rebuilt after being destroyed by the French in 1954. Continue to the infamous Hoa Lo Prison built by the French to imprison political prisoners, Hoa Lo was sardonically nicknamed the Hanoi Hilton during the Vietnam War by American POWs. Journey southwest towards Ninh Binh province to pay a visit to Hoa Lu, the initial capital of Vietnam. Witness the temples dedicated to Emperor Dinh Tien Hoang of the Dinh Dynasty (968-80), and Emperor Le Dai Hanh of the Le Dynasty (980-1009). The ancient Hoa Lu Citadel (most of which has since been destroyed) once covered an area of 1.8 miles. 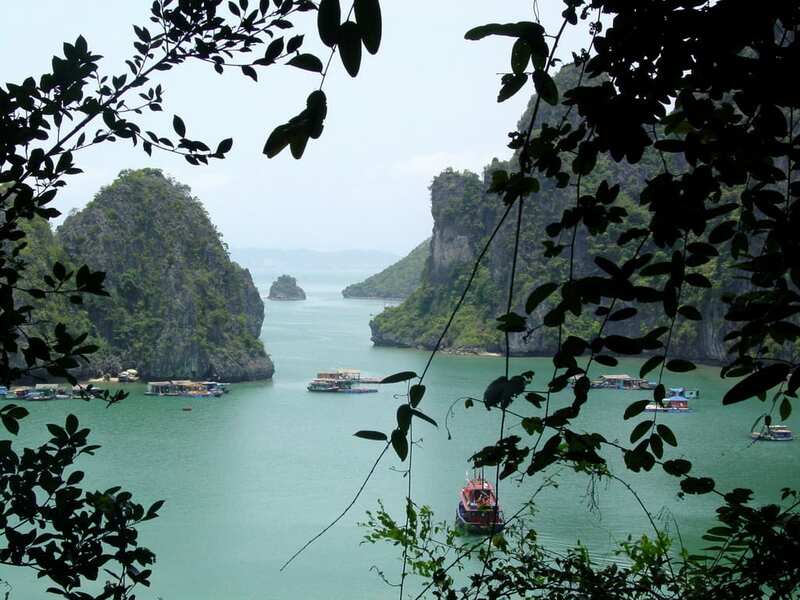 Continue to Tam Coc, known as Dry Halong Bay. This area is famed for its breath taking scenery, where dramatic limestone formations rise sharply out of green rice paddies and wetlands. Embark on a small, hand rowed sampan, and begin your journey along green waterways. The name Tam Coc means three caves and you will pass under a sequence of three caves: Hang Ca, Hang Giua and Hang Coi as your boat glides past green rice fields and lotus ponds. After the tour, stop at nearby Bich Dong Pagoda before returning to Hanoi. Enjoy a taste of local Hanoian life as you explore a local market and some of the city’s best street food stalls. Meet your guide at the bustling Hom market, one of the biggest and most popular markets in Hanoi. Wander through the narrow alleyways passing colourful stalls piled high with a vast array of fruit, vegetables, sweets and elaborate temple offerings. Take photos of the vibrant colours and breathe in the aromas of the tropical fruits. If you’re feeling brave, venture to the exotic section to see kicking frogs, silkworms and wriggling eels. The entire market is alive with the buzz and excitement of the locals bartering and haggling for the freshest ingredients at the best prices. Your guide will take you to popular street food stalls where you can sample some of the city’s signature dishes. Stop at a local coffee shop to taste this rich and flavourful drink then continue your culinary exploration with a stroll through the maze of bustling streets that make up the Old Quarter of Hanoi. Join the locals and pull up a plastic stool at a pavement stall to try Vietnamese snacks and a cup of iced tea, followed by a sweet dessert of fresh fruit and condensed milk. End the tour with a cold draught beer at a sidewalk stall popular with locals. *Food tasting samples are included. Depart from Hanoi to Halong Bay. Board a traditional junk boat for a cruise among hundreds of islets. 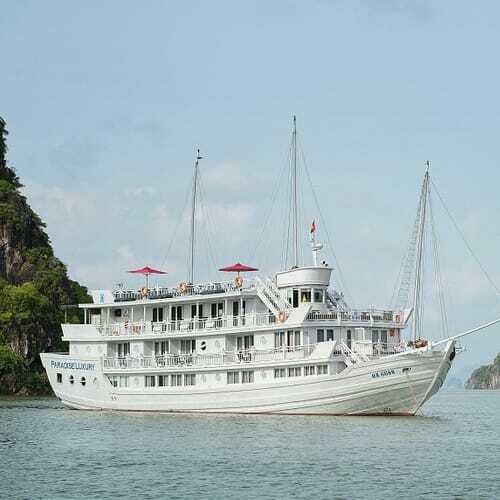 Begin the cruise through majestic Halong Bay while lunch is served. Enjoy the magical bay where thousands of sculpted limestone islands rise from the waves like dragon’s teeth. The cruise continues cruising through a fishing village on the bay and passes the spectacular limestone caves dotted around the bay. Soak up the sun on the top deck with optional on-board activities: sunbathing, and photo opportunities. In the evening the chef will prepare a splendid meal comprised of fresh seafood and other traditional dishes. Overnight on-board. Greet the day with a morning Tai Chi exercise on the Sundeck that offer a perfect opportunity to view the sunrise over the bay. After breakfast, visit a beautiful limestone grotto then back to the boat for a final glimpse of the Halong Bay while cruising back to the dock. Check out and drive back to Hanoi for our flight to Da Nang in Vietnam’s central coast. A day for relaxation or you may choose one of these included excursions. The exquisitely preserved merchant town of Hoi An was declared a Unesco World Heritage Site in 1999. Its colorful shophouses and temples reflect a diverse heritage, dating back to the 16th and 17th century, when it was a major port for Western, Chinese and Japanese traders. Today it is a thriving center of traditional crafts and a shoppers paradise, best explored on foot. Wander through the cobbled streets, past low tile-roofed buildings, the bustling central Market and the small Harbour where colorfully painted boats are moored. The walking tour will include visits to a Private House, where members of the same family have lived continuously for centuries in a traditional setting; to one of the Family Chapels built by prominent merchant or official families as centers for ancestor worship; and to a typical Chinese-Style Pagoda or Assembly Hall. Finally, continue to the famous Japanese Covered Bridge, first constructed in 1593 by the Japanese community of Hoi An to link the town with the Chinese quarters across the stream. In the afternoon, board a local boat and cruise down the Thu Bon River, enjoying the unspoiled countryside and stopping to visit a Pottery Village and a Woodcarving Village before returning to Hoi An harbor. Travel by vehicle to Hue, crossing the spectacular Hai Van Pass and travelling along scenic coastal highways. Tour the city of the emperors, visit the the ruins of the Old Imperial Cityand the Imperial Tomb of Tu Duc, before returning to Danang. Delve into the extraordinary ruins of My Son which is situated in a remote jungle valley. Formerly known as the religious centre of the Cham Kingdom, My Son has been dubbed a UNESCO World Heritage Site with over 20 well-preserved monuments. This morning, we fly to Ho Chi Minh City, also widely known by its former name of Saigon. 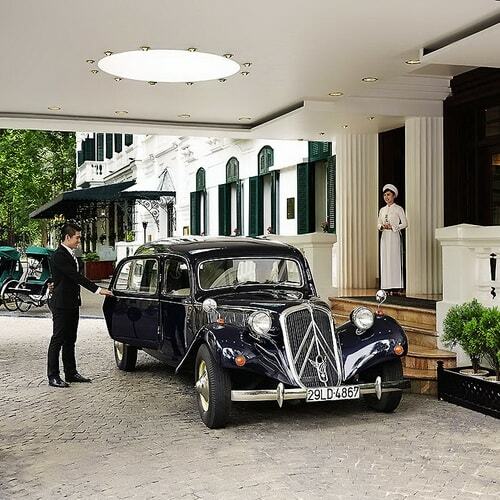 Upon arrival, transfer to your hotel in the city center. We begin our sightseeing with a morning tour of the historic centre, strolling along Dong Khoi Street, formerly known as the Rue Catinat, the main shopping thoroughfare and the heart of old colonial Saigon. Pass by classic European-style landmarks such as the ornate City Hall, the old Opera House (both may only be viewed from the outside), and pay a quick visit to the neo-Romanesque Notre Dame Cathedral and the Central Post Office. Afterward, dive into modern history with a tour of the Reunification Palace. 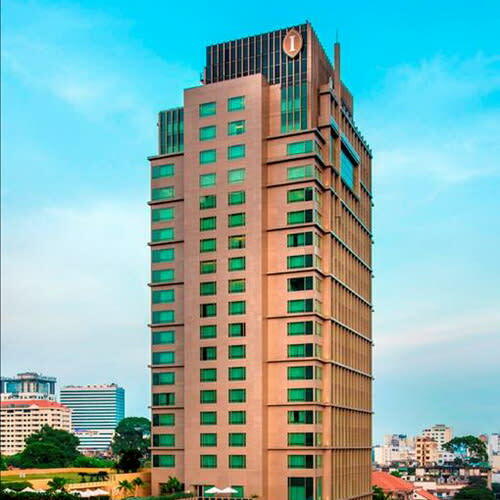 Formerly the Independence Palace of the South Vietnamese president, this 60s style building was famously stormed by tanks on April 30, 1975 signifying the fall of South Vietnam. It has been preserved in its original state, and the original tanks remain on display near the entrance gates. Continue to the harrowing War Remnants Museum, which comprehensively documents the travails of the long Vietnam War. Inside are detailed photographic exhibitions; outside is a collection of tanks, planes and weapons. Then visit the Emperor of Jade Pagoda, one of Saigon’s most interesting pagodas. In the afternoon, head out to Cholon (Chinatown). Explore the highlights of this fascinating area, beginning with a walking tour from Tran Hung Dao Street through Nguyen Trai and Soai Kinh Lam market, visit Cha Tam Church. Continue to Thien Hau Pagoda, built by the Cantonese congregation and dedicated to the heavenly goddess. 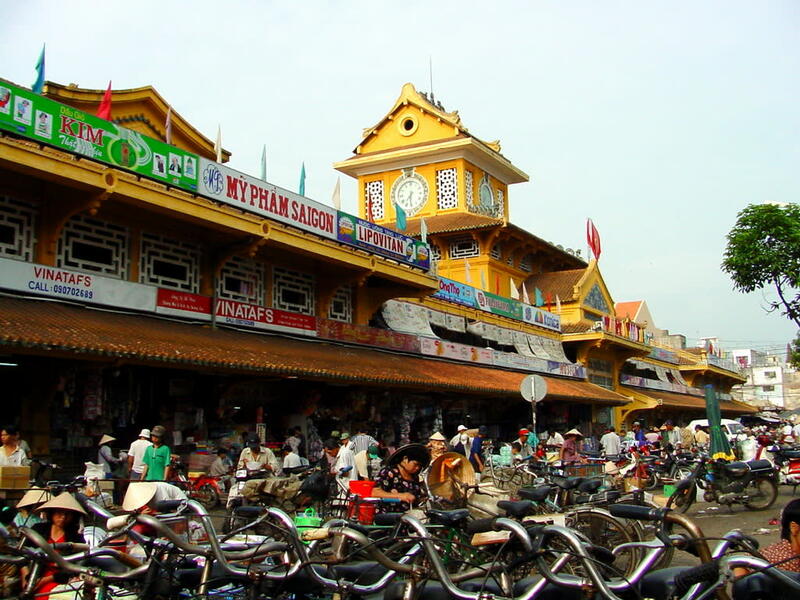 Our last stop is the central Ben Thanh Market, where vendors display a vast array of goods and handicrafts, appealing to every taste. Located 47 miles northwest of Ho Chi Min City, the Cu Chi Tunnels are an elaborate underground network of tunnels and chambers in the town of Cu Chi. The Cu Chi Tunnels were an important Vietcong base during the Vietnam War. Stretching over 124 miles, this incredible underground network, dug by hand out of hard laterite, connected command posts, hospitals, shelter and weapons factories. We will walk through the area and learn about the day to day life of the Vietcong, bear witness to the cleverly disguised entrances and elaborate booby-traps, and even venture inside the tunnels, some of which have been modified to accommodate tourists. In the morning you will be taken from your hotel into the heart of the Mekong Delta. On arrival at Cai Be jetty the crew will be waiting to welcome you onto the sampan with cold towels and a refreshing drink. As the boat slowly cruises along the water enjoy the passing boats and the beautiful landscapes along the river. Keep your camera ready to capture the pictures of typical rural river life. Your destination is Tan Phong islet, a lush green island of freshwater canals and tropical fruit orchards. Take a walk through the quaint villages breathing in the aromas of the fruit gardens. Board the boat again to continue your journey along the river making stops at traditional home industries. Take a look in some of the workshops to see how rice paper, roof panels and water coconut fronds are made; and how homeware is produced from water hyacinths. At the village of Phu An make your way to Le Longanier, an exquisite French colonial-style villa set in a pretty garden by the river. Relax here for a while and enjoy a delicious lunch while you soak in the atmosphere of the old colonial days. After lunch take a short walk along the canal to Ba Bon Bridge where your driver will be waiting to take you back to your hotel. Take your private transfer to the airport for your flight home.